Flash Back 2012 is Minmei's farewell concert. Featuring some of her best songs, the music is performed over various scenes and events taken from Macross TV as well as Macross "Do You Remember Love". Also included is a newly animated closing sequence showing the launch of Misa's colony vessel, the Megaroad-01, into space. 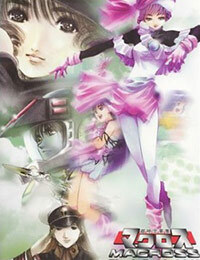 Watch Macross Flash Back 2012 Episodes Online at Animegg.org. Macross Flash Back 2012 is available in High Definition only through Animegg.org. Choose an episode below and start watching Macross Flash Back 2012 in Subbed & Dubbed HD now.